If horror writing can be divided into the camps of "less is more" and "show us all the gory details", then on the strength of this collection the editor Stephen Jones is definitely a fan of the former style. Although gore and weirdness are by no means ruled out, there's a subtlety and understatement to many of these tales that in no way diminishes their effectiveness. However this volume is more than a short story anthology. 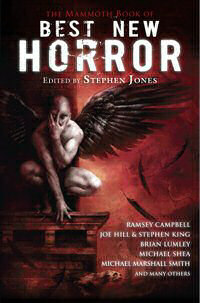 It begins with a review of horror in 2009, taking in all of the genre's major publishing news and releases with impressive thoroughness, and the occasional dash of vinegary candour. At the back there's an equally comprehensive necrology section which gives details of all the creative people who have made a mark on the horror scene and passed away that year. It makes the book an extremely useful reference for 2009. Joe Hill and Stephen King's father-and-son-themed road trip story isn't strictly what I'd call horror, although it's definitely horrifying. Throttle is a blackly humorous tale of parental loyalties and disappointment set in the world of a drug-dealing biker gang. It's visceral and scary, even without the supernatural element. There's more relationship trouble to come in Out And Back. Barbara Roden's tale of an obsessive enthusiast for abandoned places. He insists on exploring a derelict fairground in spite of the misgivings of his unimpressed girlfriend. This is one of the subtler pieces, ending with a degree of ambiguity and leaving readers to fill in the blanks rather than spelling everything out. Ramsey Campbell's Respects is one of my favourites from the book because he combines the terror of ghostly menaces with that of living in a neighbourhood full of chavs. 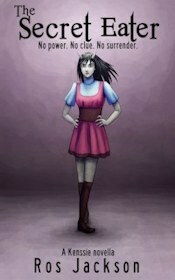 Dorothy is a bereaved widow, and she feels vulnerable and alone when a family of petty criminals decide to harass her. The dialogue is brilliant, and it captures an odious sense of entitlement on the part of Dorothy's tormentors that seems extremely true to life. Simon Strantza's Cold To The Touch is a bit more far-flung, taking place in the frozen Arctic. A climate scientist and committed Christian travels far from the safety of civilisation to investigate temperature anomalies. But he finds standing stones in the ice that cause him to question his faith. This is the kind of story that takes more than one reading to fully grasp the author's meaning. Chris Bell's Shem-el-Nessim: An Inspiration In Perfume is a little more exotic. It outlines a man's obsession with the scent of a mystery woman, which takes him from London to Cairo. It's a subtly haunting tale rather than one of gut-wrenching terror, but it's intriguing and full of evocative texture. Likewise Simon Kurt Unsworth's Mami Wata uses the unfamiliar to ramp up the sense of unease. It takes place at a mine in Zambia, where a British man has come to investigate falling production. He doesn't believe the mine manager's explanation and feels compelled to go underground to see things for himself, which is never a good plan. This story has similarities to Terry Dowling's Two Steps Along The Road, which is set in Vietnam and concerns a daughter who the family suspects of being a changeling spirit. Both stories were originally published in Exotic Gothic 3: Strange Visitations. Short, sharp shocks are the technique of choice for Rosalie Parker in her story In The Garden, and also in Rob Shearman's gross-out zombie tale Granny's Grinning. Richard Christian Matheson's Venturi is another relatively short tale about forest fires that nonetheless leaves you with an image that's hard to forget. There's a wide breadth of styles in this anthology, although there's a slight leaning towards more intelligent narratives. So whilst the stories are all over the place in terms of settings and in their approaches to horror they are consistently high quality. Some offer visceral thrills, others a creeping unease, and others more of a psychological enigma. But The Mammoth Book Of Best New Horror 21 has the added bonus of being as much a roadmap as an anthology to enjoy in its own right, because no matter what floats your Stygian ferry it helps you discover more of the good stuff.